Accounts receivable forecasting is one of the most important, and the most challenging, elements of a cash flow forecasting process for head office finance and treasury teams. It is the element of a company’s cash flow forecast that estimates the amount of cash it is due to receive over a set period. The majority of these receivables will come from the company’s customers. In this blog post we’ll outline some simple steps for increasing the accuracy of accounts receivable forecasts. Why is accounts receivable forecasting important? Accurate and reliable accounts receivable forecasting can have a large impact on the working capital of a business. In particular, clarity on short term upcoming accounts receivable can reduce reliance on short term external financing facilities. Therefore, improved accounts receivable forecasting not only allows a business to be become more nimble and efficient with regards to how they use cash, it also directly impacts the bottom line. Why is accounts receivable forecasting difficult? The challenges for a head office team managing a forecasting process are numerous due to the sheer volume of data, range of systems, and number of entities involved. Accounts receivable forecasting is particularly challenging as much of it is out of the receiving company’s hands. While payment terms are agreed, they may not always be adhered to. It is easiest to break receivables forecasting into two parts: short-term and long-term. Long-term forecasting tends to be more straightforward as customers will, by and large, eventually pay their bills. Short-term forecasting is more difficult because there can be variability in when those bills are paid as well as variability on when cash will actually be received. A customer may delay payments because of difficulties in the supply chain (i.e. they themselves are awaiting payments from third party vendors), because they are holding cash for reporting purposes, or for many other reasons. As forecasting is a forward looking activity there is no silver bullet that will solve all issues. However, based on our experience helping large companies to set-up and manage forecasting processes, taking the following basic steps can dramatically improve the quality and accuracy of accounts receivable forecasts. Developing an understanding of past accounts receivable behaviour is the first step in trying to more accurately forecast future customer receipts. There is no hard and fast method for this analysis but ultimately what is learned is more important than how it is done. Problematic areas within the receivables ledger, such as customers who consistently don’t pay to term. The largest customers and their payment behaviour. The most volatile components of the receivables ledger (e.g. certain business units, product lines or customers). Seasonality at both a macro and micro level. The goal of this exercise is to define what areas of the receivables ledger cause the most problems and are the most difficult to forecast. This will allow improvement efforts to be focused on these areas. Applying the 80:20 rule to all aspects of this analysis will significantly speed up the process. The historic analysis will facilitate the accounts receivable ledger to be broken into various reporting sub-categories, depending on what needs to be focused on and improved. A common sub-categorisation is based on customer size. 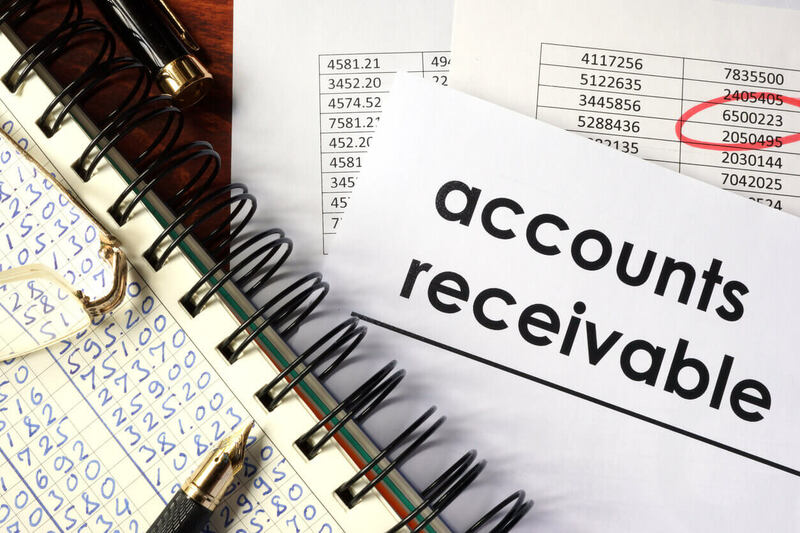 Looking at accounts receivable as a single number is challenging as, even in mid-sized companies, it comprises many moving parts. A simple 80:20 split will quickly focus the analysis on the largest customers and their payment behaviour. This type of categorisation is key to the efficient ongoing analysis of accounts receivable behaviour. Accounts receivable analysis and forecasting is an ongoing exercise. The steps outlined above lay the foundation for ongoing analysis which in turn leads to adjustments to forecast assumptions, or to actions that improve cash flow collections. Variance analysis is the primary piece of analysis that will be carried out as part of any effort to improve accounts receivable forecasting. Variance analysis demonstrates how forecasts perform versus actual data. This in turn shows how assumptions have performed and what needs to be changed for the next forecast iteration. This process of ‘monitor – update – iterate’ will help cash forecasting accuracy measurement and move a forecast from low to high quality, over a relatively short period of time. As with most parts of the cash forecasting process, accounts receivable forecasting can be done manually on spreadsheets by collating all of the required input data and entering it into your models. However, the use of specialised software can help not only by automating the data collection/collation process across numerous data sources, but also with analysing and improving accuracy. The use of specialised software also enables predictive analytics as a method of analysis, offering in-depth insight into what may be affecting forecast accuracy. If you are considering setting up a new cash forecasting process, we have written a cashflow forecasting setup guide, which we welcome you to download.